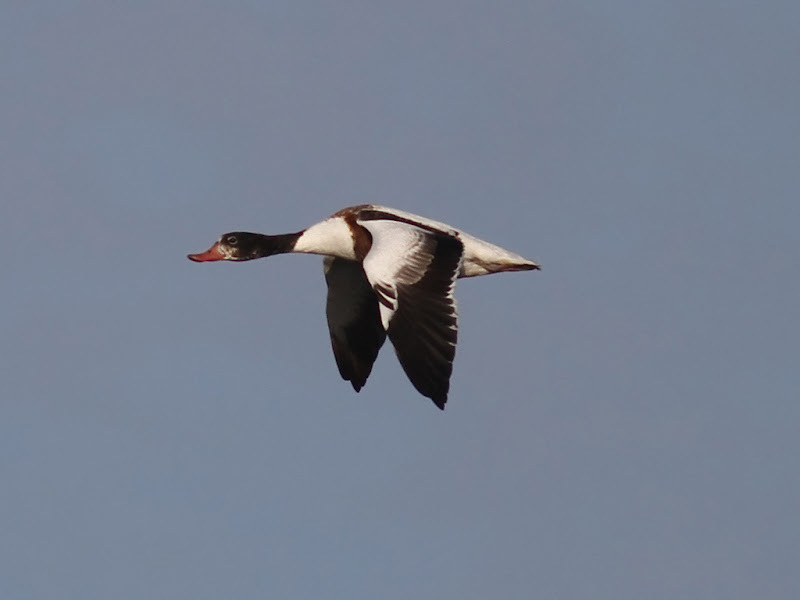 A large, pied duck with a broad chestnut breast band that wraps around the upper back, glossy green-black head and neck, red bill, black flight feathers, back and belly stripes, chestnut vent, green specula and dark pink legs. Size varies; females smaller but otherwise similar. A strong flier on long pointed wings. Inhabits rivers, lakes, saltpans and the coast. Local and irregular winter visitor mainly to Pakistan and northwest India.